A human-sized, personal assistant, ‘Made in France’ robot could soon becoming to a home near you. French startup Alderbaran Robotics has unveiled for the first time at Lyon’s big robotics fair Innorobo ‘Romeo’, the anxiously awaited 1,4m, 40 kg humanoid robot. The development of Romeo has been an extremely ambitious project, which since being kicked-off in 2009, has drawn on the input, expertise, and support of Cap Robotique an association of 21 companies that form a sub-group within Cap Digital as well as various research and academic institutions. Given the high-level of innovation, cutting-edge technology, and, obviously, large capital investment needed to create an artificial being such as Romeo, the BPI has also been a key partner in the project. Drawing on Alderbaran’s own hit robot Nao (already 5k units sold since launching in 2008) which was developed out of Alderbaran founder Bruno Maisonnier’s desire to ‘create robots for the well-being of humans’, Romeo takes what’s been achieved with Nao a step further by moving from the concept of a robot as a ‘companion’ to one that will soon have the capability to be an actual personal assistant. While Romeo is still in very much in the development phase, he can already do some very useful tasks such as engaging the user in conversation around information within the user’s applications such as LinkedIn or Google Calendar. The developers have also advanced quite a bit on technology which allows Romeo to detect human emotion in the user’s voice and respond accordingly. 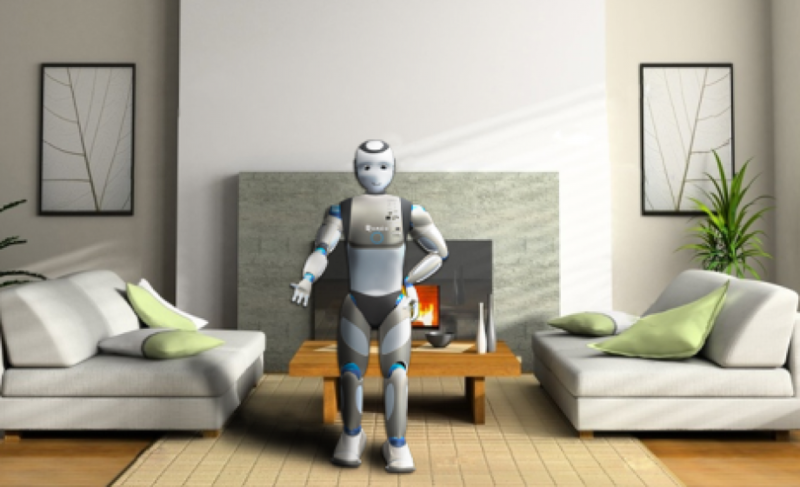 The next step, which apparently isn’t far off, is for Romeo to be able to conduct tasks such as opening doors, placing objects on tables, and recognizing specific objects. Of course while integrating the above functionality in Romeo will be a huge achievement, Romeo is not just innovation for innovation’s sake. Romeo’s developers are planning for real commercial and, arguably, mass applications for Romeo. Romeo’s creators to introduce him into real-world situations in 2016 and, more broadly, in retirement homes in 2017-2019. The goal in this environment will be to help make daily life a bit easier and, perhaps more importantly, safer for the elderly. Already there’s growing interest in Romeo with four European labs having bought Romeo prototypes. Interesting. I guess the future is coming after all.